Cool Candles supply a range of high-quality liquid paraffin disposable fuel cells to our Australian wholesale and retail customers. 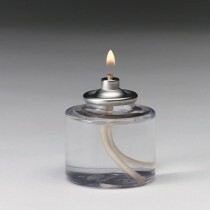 Disposable fuel cells are the perfect solution when you want all the ambience of real candlelight, but not the waxy mess! When the fuel is used up, simply dispose of the container and replace. Competing in the hospitality industry, you know the value of candlelight in attracting customers and creating a pleasant atmosphere. But when you're busy running a club or restaurant, conventional wax candles can be a messy and inconvenient lighting solution. Who wants to spend time cleaning up wax spills, or throwing out half-burned candle stumps? Liquid paraffin disposable fuel cells are the perfect solution for busy venue owners; all the beauty of real flame, but none of the inconvenience. 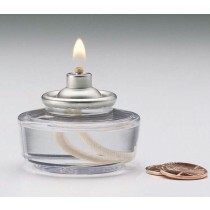 Available at wholesale prices and in bulk quantities, our liquid fuel candles are the convenient real flame alternative. Each piece is a simple disposable cartridge, easy to remove and replace once spent. 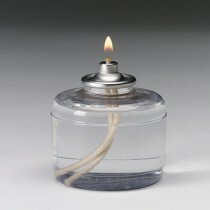 Convenient and compact, they fit into all your favourite table lamps and provide hours of beautiful real flame lighting. No maintenance. Forget about wick trimming and removing excess wax! You can simply place and light your disposable fuel cells, confident that you'll get long-lasting ambience. No risk of spillage. With disposable fuel cells, your guests can't bump the table and create a waxy mess for cleaning staff! Longer burn time. 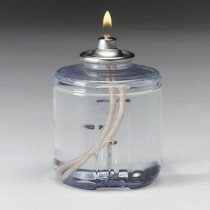 Disposable fuel cells won't deform or burn unevenly, unlike solid wax candles. That means less waste, better value, and a reliable burn time even in poor conditions. Of course, all our disposable fuel cells are made from top-quality liquid paraffin, clean burning and odourless. 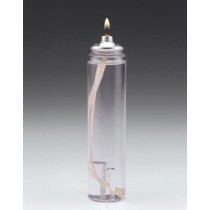 Manufactured in the USA by Hollowick, these premium quality oil candles are suitable for use in food service and hospitality applications, safe for staff and clientele. With all these advantages, it's no surprise that these disposable fuel cells are such a popular choice for clubs, bars, restaurants, catering and more. 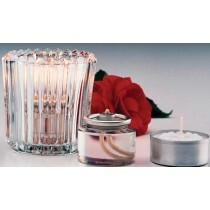 It couldn't be easier to provide your customers with long-lasting, authentic candle light.